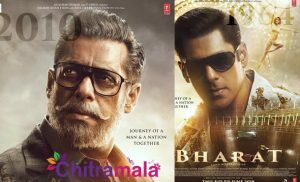 Filmmaker Vipul Shah had to change the posters of his forthcoming film Action Replayy at the last minute, realising they were similar to those of Salman Khan stareer Dabangg. The Dabangg poster displays two hearts superimposed on Salman’s glares while the Action Replayy poster also showed two hearts stuck on Akshay’s dark glasses. Now, the hearts have been removed. "We had this concept in mind but since Dabangg did it so beautifully we thought of doing something else," said Vipul Shah. "There is no dearth of ideas and creativity, so bringing out a new poster wasn’t a big hassle. I think the Dabangg poster looks really good and people have liked it a lot," he said. "The creative team realised that Akshay’s glares with the hearts looked very similar to Salman’s look from the Dabangg poster. Hence, they decided to change it by simply removing the hearts from the glares. The new poster will have the same look without the two red hearts," a statement by the Action Replayy team said. Action Replayy movie also stars Neha Dhupia and Randhir Kapoor. Based on a 1994 Gujarati play of the same name, it is a time-travel comedy about an elderly man who travels back in time to Mumbai of the 1950s. It is releasing on Diwali (Nov 5). Action Replayy will be the fifth time Shah and Akshay are coming together after Aankhen, Waqt: The Race Against Time, Namastey London and Singh Is Kinng.